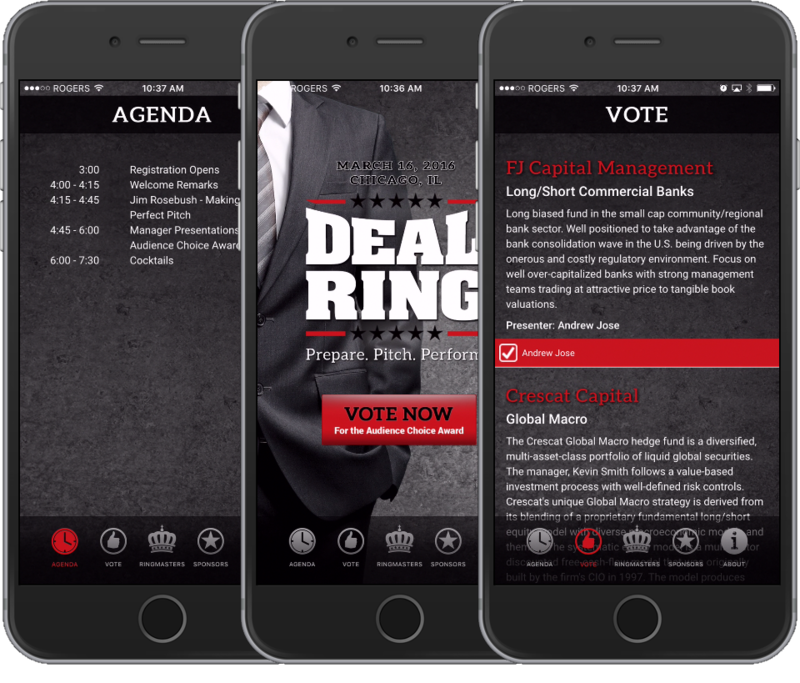 Deal Ring, an annual event run by Hedge Connection, is a Shark Tank style event where fund managers pitch to a panel of hedge fund investors, called Ringmasters, before a live audience. The iPhone and Android apps allow the audience, also made up of investment professionals, to participate in judging the fund manager pitches. 14 Oranges is the supplier of the website and mobile apps for the event.